Tokyo isn’t a beautiful city by day, but at night it’s transformed into a glittering jewel. 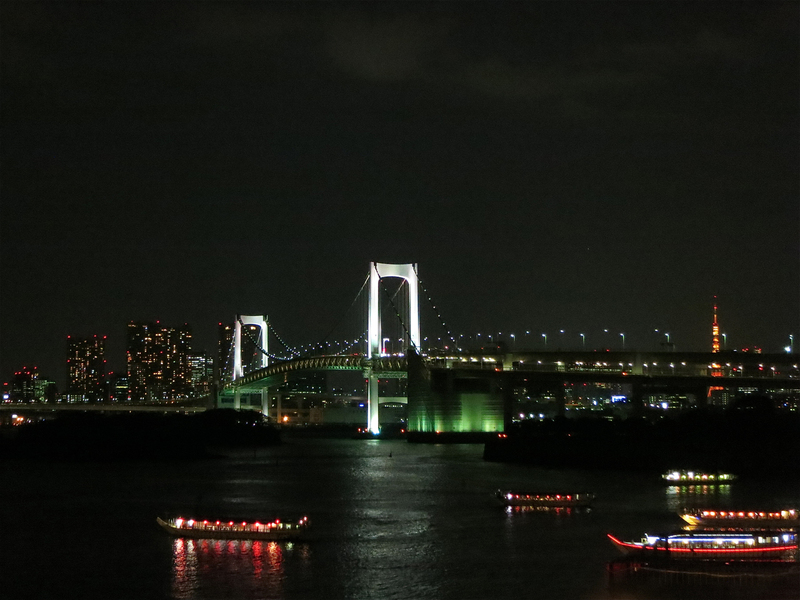 This is the view from Odaiba, as the dinner boats set off down the Sumidagawa River. 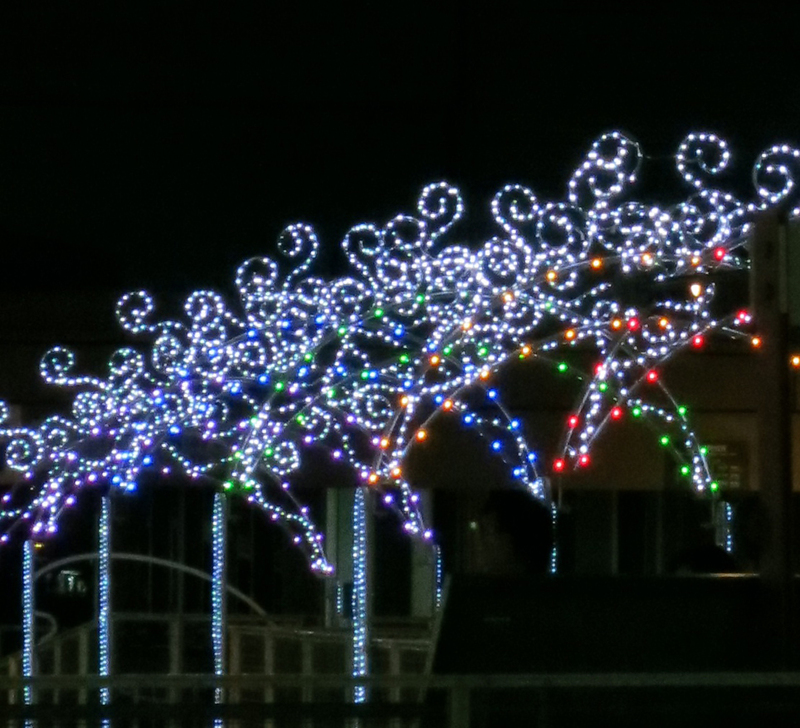 Lights make a glittering fairytale archway at Palette Town. 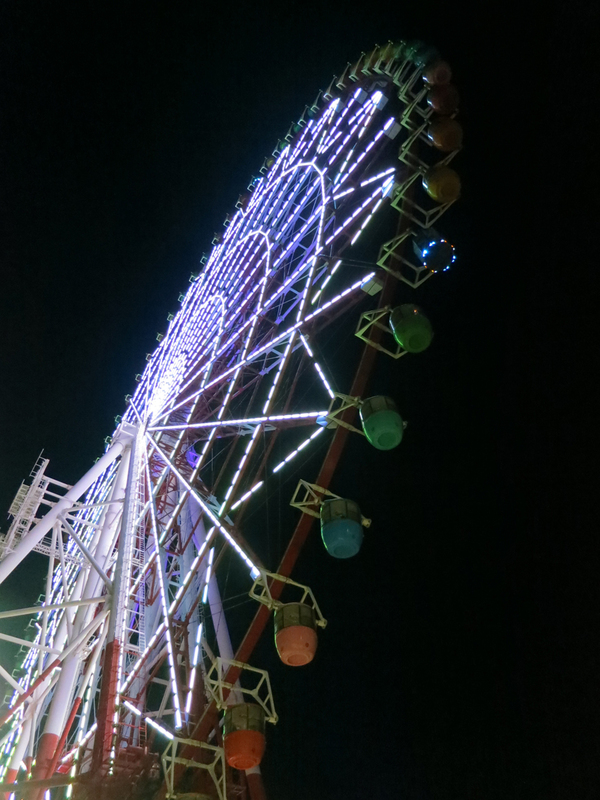 The famous ferris wheel outside Zepp Tokyo, lit up in brilliant neon. 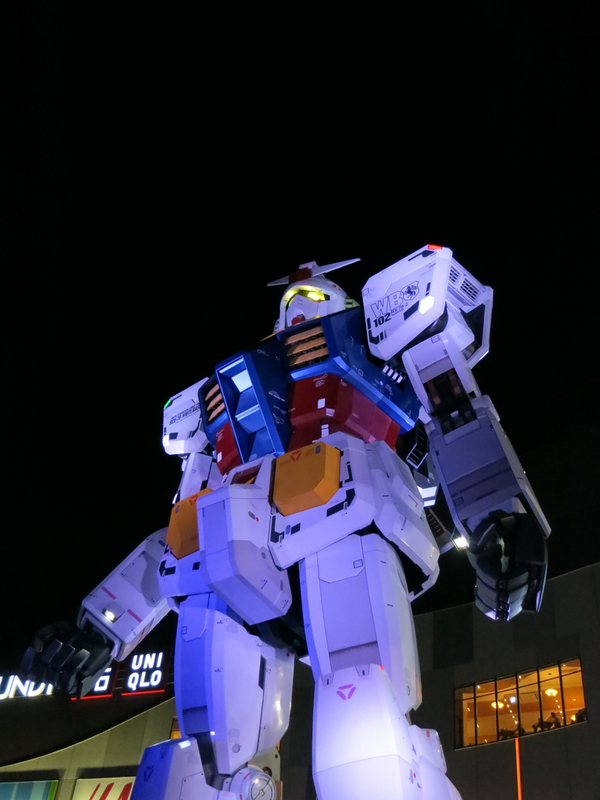 The towering Gundam robot near Tokyo Teleport station. These twin towers remind me of an arcology out of some William Gibson-esque future. 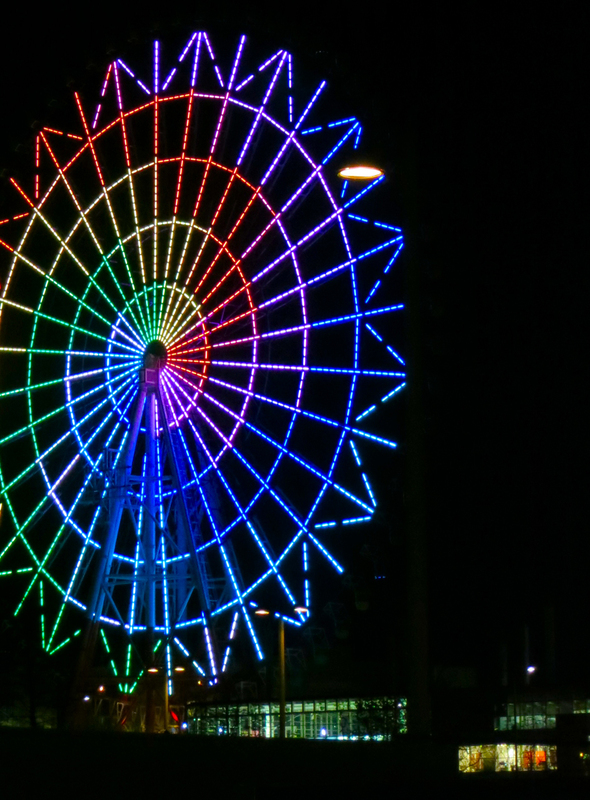 The ferris wheel puts on a light show all night long. If you’d like to visit Odaiba the next time you’re in Tokyo, directions & maps are on my website, The Tokyo Guide I Wish I’d Had. That ferris wheel is so beautiful! The light show really is mesmerizing! You can see it from many parts of Tokyo too, because it’s HUGE. 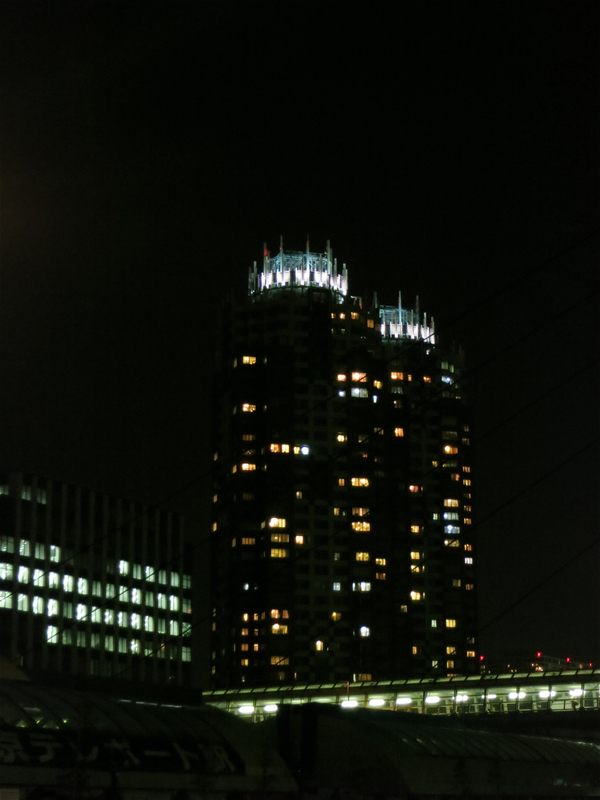 Pingback: Odaiba | Let's Go To Tokyo!